Photo: Flickr User bionicgrrrl CC BY-NC 2.0. It’s August. Welcome to the days of summer honey. If you are only familiar with the mass-produced product in squeezable plastic bears, you may think that there is just one honey and that it is of uniform golden colour and singular mild flavour. That’s what I used to believe until I started frequenting farmers’ markets and talking to beekeepers – and most importantly, tasting the honey. As it turns out, in nature, no two honeys are alike. 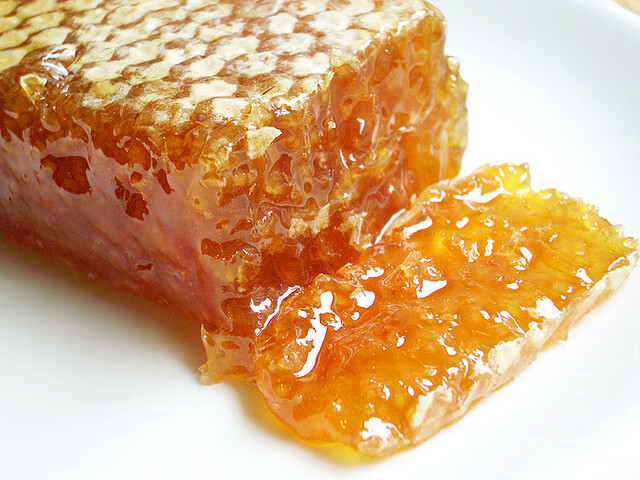 You can read what makes summer honey so special (and so unlike plastic bear honey) in my latest post, Harvesting Sunlight, over at the Canadian Science Writers’ Association blog. Today we use terroir to describe cheese, coffee, chocolate, tomatoes, and hops — anything where the environment has an impact on the flavor of a product. An example that comes to mind in the United States is the Vidalia onion — a sweet onion that takes its unique flavor from the low-sulfur soil that makes up the growing region of Vidalia, Georgia. With wine, the terroir might include the types of barrels used to age it or a practice like letting grapes freeze on the vine; in cheese it may reflect a long tradition of how the the cheese is processed; in coffee, terroir would take into account when the beans are harvested and how they are roasted. Which brings me back to honey in plastic bears. The idea of terroir as having cultural roots got me thinking about how much of that we’ve lost in striving for uniformity in North American industrial food. 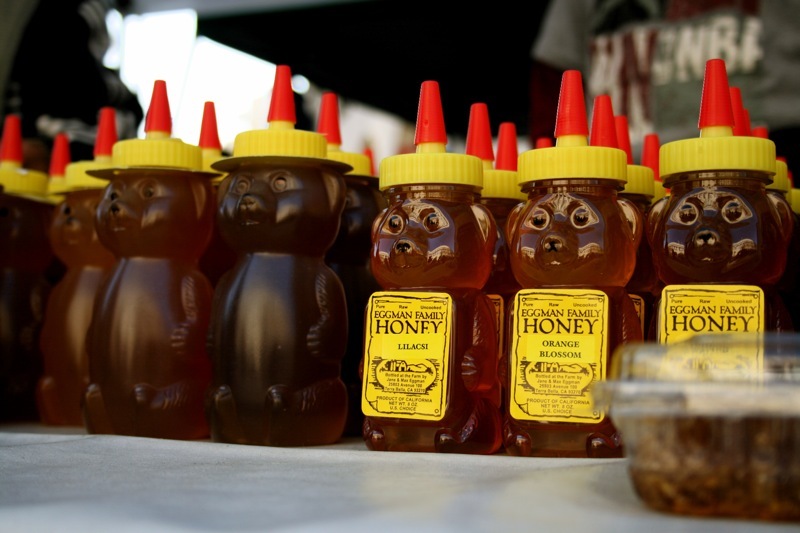 As I mentioned in my CSWA post, the reason that honey in plastic bears all tastes the same is because it’s essentially an “average” — a uniform mix of honey sourced from a single crop (canola, here in Canada) which is then processed to remove any trace of pollen, and hence flavor and variability. But it’s what we’re used to and what we expect when we buy honey. And I realized we have done this with everything — reduced it to an average non-flavor. What is the terroir of Maxwell House coffee, Tetley tea, reconstituted orange juice or Coors Light? What about a french fry or a beef patty? What kind of tomatoes are in a can of tomato sauce? No Hunt’s, the real secret is in making that “flavour profile” identical and unremarkable, can-after-can, year-after-year. Those things that we can’t blend into uniformity through processing, we merge to mediocrity by breeding to a single standard that serves as a representative for all the members of its kind. Behold the immensely popular green seedless grape, an orb of sugar water with absolutely no flavor whatsoever. Like a fence-sitting politician, a fruit with no startling flavors ensures that everyone likes it. 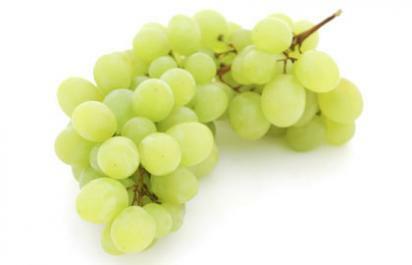 In place of real grapes that taste like grapes, we substitute artificial grape flavoring and apply it to junk food. Do children ever wonder why their grapes don’t taste like purple Koolaid? Do they even associate the two things we call “grapes”? Flavorless, inoffensive and immensely popular. 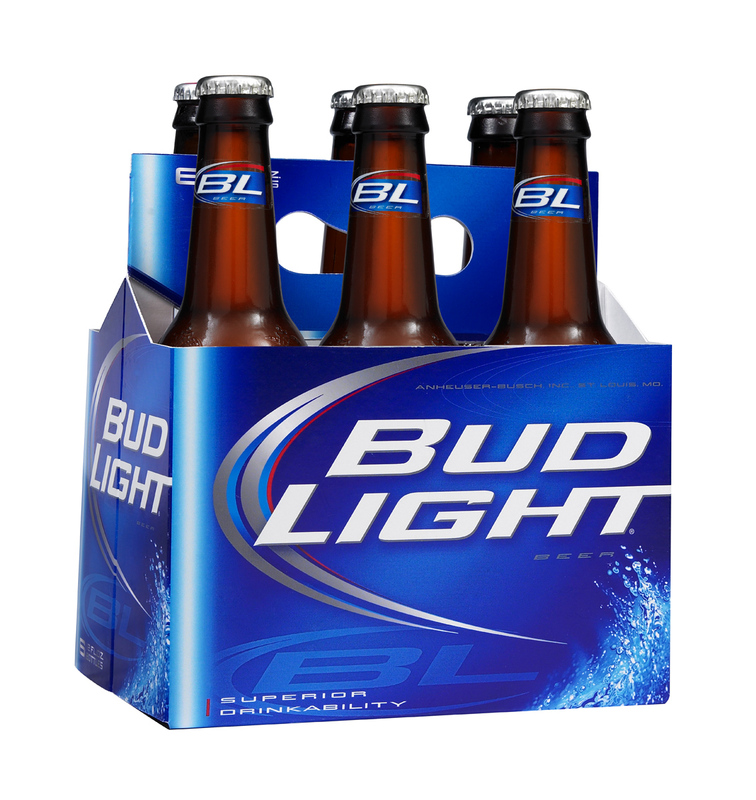 Not only do we insist on unobtrusive flavor, but we insist on unimpeded consumption. We wail over seeds in our grapes, hard-to-peel oranges, crystallized honey, cheese slices that don’t fit our bread and meat that has to be trimmed. Of course industry is happy to meet our delicate sensibilities through genetic selection and processing. Unfortunately, this isn’t just a superficial first-world problem. It has implications. 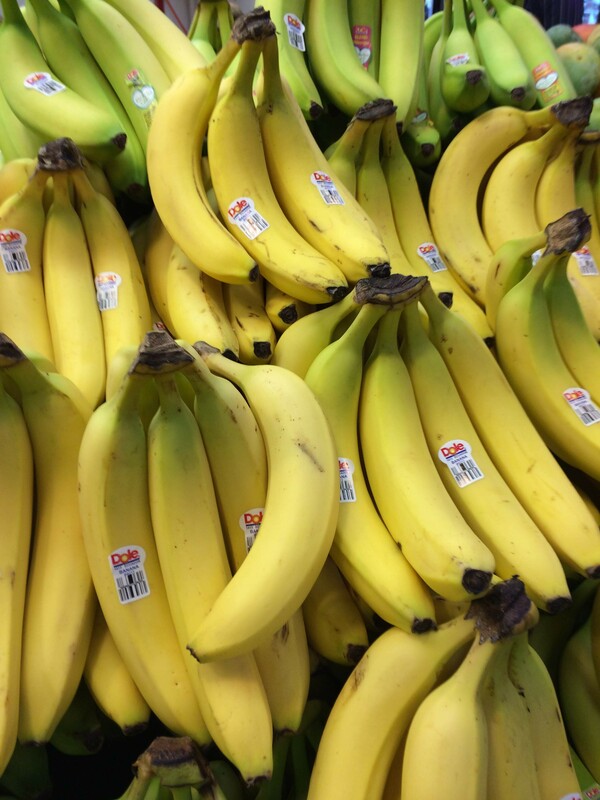 Our expectation for uniformity in bananas, for instance (driven and reinforced by the industry) is bringing us perilously close to a global banana crisis that threatens the food security of millions of people. And while we might claim enlightenment by way of “ethnic” restaurants, Whole Foods and craft beer, the fact remains, industrially-produced food still makes up the vast majority of food consumed in North America. All of which makes me wonder if there is a terroir of factory food. Maybe the conditions of its production define it in the same way that high altitude grassy pastures define Alpine cheese. The monocultured produce, the singular corn diet of livestock, the selection of genes for long-term storage over flavor, the careful addition of artificial colors, the cooking and blending, the stainless steel vats — perhaps all these things create a familiar homogeneity that we crave. And maybe we now recognize the lack of distinct flavor made up for by an overdose of salt or sugar; the neutral and predictable color across batches and years; and the subtle hints of antibiotics and preservatives as the North American terroir of comfort food and home. Thanks for a great post! That’s a nice word to know and use: ‘terroir’. Fortunately, here in India, there are still some districts in the south, where honey comes from shade-grown coffee lands and surrounding forests, where one can still savor the seasons. Honey from the coffee flowering season, from flowers of teak and Terminalia and more, from sweet to sugary to bitter. But the homogenization is underway, besides problems like antibiotic contamination, and loss of native bees. Thank you Shankar. Are bees in India suffering colony collapse the way they are here in North America? What you did not mention was one word that makes all of this possible: sugar. In mass marketing, and creating that ‘sweet spot’ for marketing, when in doubt, add sugar. That doesn’t apply so much to beer or honey, but almost everything else is bulldozed into conformity. So the question: is there a ‘terroir’ for the sugar that is added? Or, (more likely) has any hint of source removed, all flavour but the generic sugar. Which I am guessing. Funny you ask that Bill. From my office window of my Toronto condo I can see the top of the big green Redpath Sugar Factory unloader crane. Day-after-day it scoops enormous mouthfuls of raw sugar from the belly of Caribbean ships and dumps them into a giant storage facility to be processed this winter into, what I would presume, is “terroir-free” white sugar. I hope to get down there in the coming weeks and take some pictures or video of it in action. Will make an interesting blog post.